I never sensed any resentment to Americans — always the concept of what governments do has nothing to do with the people. You also have to remember that almost every Cuban has a relative in the United States. People were extremely friendly and welcoming. Yes some of that has to do with the idea we present a way to make a living but it is more than that. 4. What has surprised you most about Cuba? It might sound really stupid, but I was surprised at first the woman I stayed with in a casa particular, a kind of guesthouse arrangement, had an answering machine when I called her to make arrangements from the United States. I then was surprised she had an air-conditioning unit. It was Russian made. I guess this also comes from growing up in the Cold War, in an era of Wendy’s Day Wear, Evening Wear commercials. https://www.youtube.com/watch?v=5CaMUfxVJVQ I was actually floored how anything you wanted, if you had money, was available in Cuba. Beyond that, I was also surprised how developed tourism already was. We Americans have long been left out while the world visited. 5. What’s the gay community like? At least in 2003, the concept of the gay community might be different from what you find now. You did go to la Coppelia, the ice cream place made famous by the 1990s movie Fresa y Chocolate, Strawberries and Chocolate. In fact, when Cubans wanted to sort of figure out if you were gay, they would ask if you knew of the movie in conversation. There was oppression and not oppression at the gay corner, in front of the Yara Cinema. I talked about this a lot in an article I did for Gay City News in 2003. The police sometimes shooed away or arrested young men at the gay corner, who were waiting to go to the gay corner. 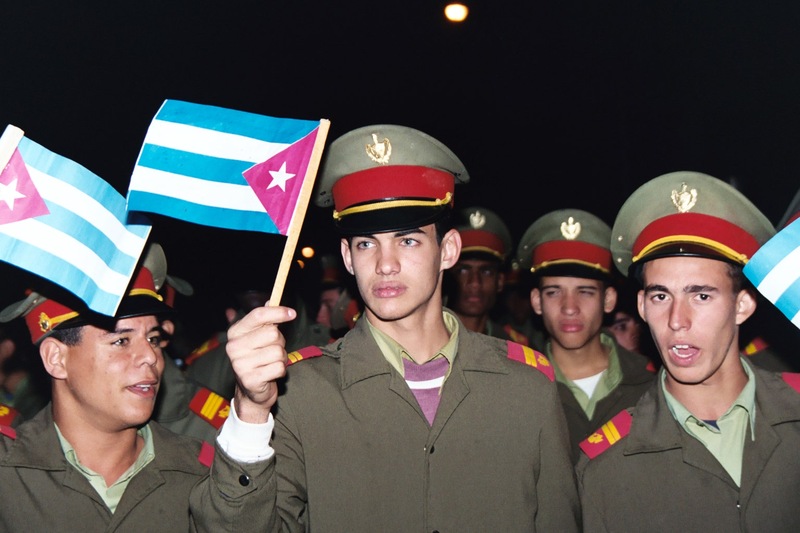 They would harass people driving to the gay parties in the outskirts of Havana. A transgendered woman I met explained to me though that the government gave protection to the transgendered though not to those who identified as gay. She showed me a government letter she had. This has changed a bit since the work of Mariela Castro, the niece of Fidel, though I do think her involvement in gay issues is a bit of Cuban pinkwashing, as it suppresses genuine activists from working. Interestingly, Mariela knew the transgendered woman I interviewed in 2003, when I met her in 2006 in Montreal at the Out Games. I would also add, hustler culture is strong. I might say two. Getting stopped by the police when going to the gay party, not a favorite moment, but interesting to see how that kind of harassment happened. It was also oddly romantic because of one of the men in the car at the time. Also, I was interrogated by the police, twice, because of visa issues. I satisfied the USA legally, but my being a journalist was not properly documented on the Cuban end, which created a problem once I was in country. It’s a much longer story but in the end, nothing happened; I was not arrested. In the USA, could you imagine how badly I might be treated with a problem with my visa. I think in the long run, many of the police interrogators were bored to death and the conversations were interesting to them. However, even though I speak Spanish, being interrogated in it was tricky, as I could not get all the subtleties I would in English. Again, in the long run, there were no permanent issues at all, and it made things interesting. I went in a very cold period — at least for Cuba. Spring or fall might be better weather wise, but if you go in summer, which would be hot, you at least can do beach resorts. Well, more is above about the community. There are bars but not really gay bars. And I found for the most part, Cubans are fine to talk about gay issues, as I said bringing up Strawberries and Chocolate. Even when I went to small places like Cienfuegos or Trinidad. At guesthouses, some would expect me to bring home girls and I would laugh and explain, well if I brought someone home, it would not be a girl. I would really add for me, beyond examining LGBT culture, there was the whole notion of the architecture, the history. These things are major draws, gay or not. I just love this image of a girl who is celebrating her Quinceanara, or turning 15, a very big deal in Latin America, like an American Sweet 16, but more elaborate. I love how the birds appear to be worshipping her in her gown. 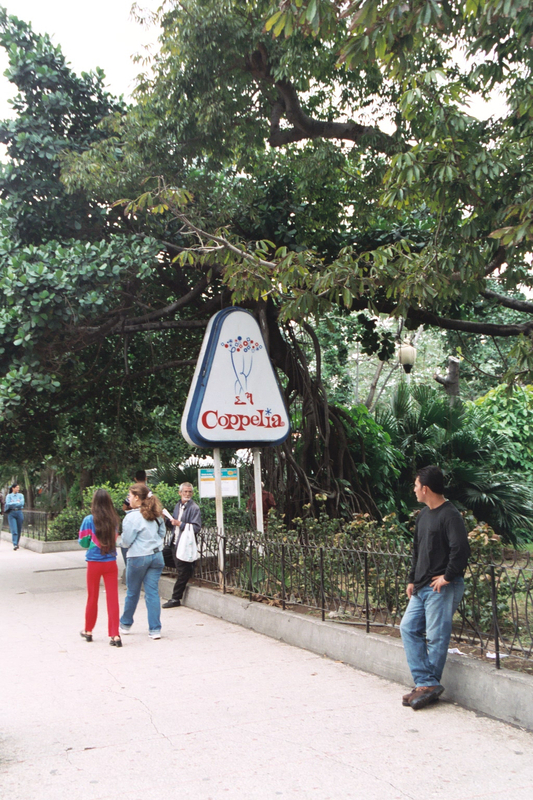 La Coppelia was made famous in the movie Strawberries and Chocolate. It’s a gay hangout but also for everyone. Plus many pingateros and jiniteros, in other words, men for sale,also hang out here, waiting for tourists. great article. I’m in los angeles, california. although I don’t accept your right to be gay, as I believe it is a choice, rather than you being born into that lifestyle, I did read your article and found it informative. By history, you mean the Cuban Revolutionary period in particular? The Bay of Pigs, etc. was more interesting I would say and during the Cold War period. The period of Bautista and him killing student protestors and many adults on a weekly basis or more was disgusting, which was what led to the Revolution against the rich and upper society for the most part. Although the slave trade did bring a variety of colors and cultures to cuba, to make it more interesting during that era. As for Cuba, it has accepted the gay and lesbian and transgender, and transition commmunity more because of the efforts of Mariela Castro who I admire and respect. You should have made a point of that more in the article I think. Considering she is the daughter of Raul Castro, that takes great courage to distance and try to bring about change through her father on social issues such as that, and the Cuban island as a whole. Hello, I live in Healsdsburg California. My brother married a Cuban woman. I also traveled to Cuba in 2003 and fell in love with the country. I am leading a lgbt tour in November that is sold out. Out Cuban born guides happen to be gay and ate with us throughout our stay in November. We feel Cuba to be very gay welcoming. We are back in Cuba Jan. 9 to 17th for another LGBT tour. If you have interest please check out our web site. http://Www.outincubagaytours.com.